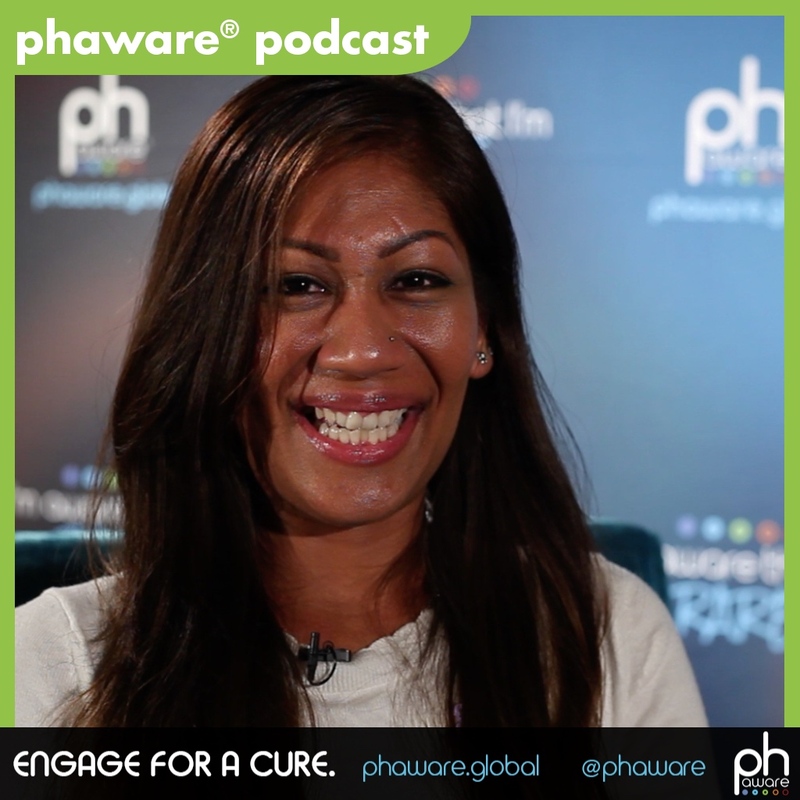 In this episode, pulmonary hypertension patient, Alleena Shiwdas discusses the importance of a good peer support network and how psychological care as critical part of a PH treatment plan. My name is Alleena Shiwdas, and I'm a pulmonary hypertension patient. It was the day after I had my second son. I was in the hospital. I had a C-section and they told me I had to get up and walk. I said okay. Besides the fact that I was in a lot of pain, I was unable to breath. I couldn't walk five feet to the bathroom. I was completely out of breath. I said to them, I was like, "Something is wrong." They're like, "Um, well, everything looks fine," so I said okay. I thought I was having trouble with the medications they were giving me. I thought I had an allergic reaction, so I didn't make a big deal out of it. After that happened, I went home and I just kept getting worst. My shortness of breath was escalating every single day. I would go to the ER. I went to multiple doctors and I said, "Something's wrong with me. I can't breathe." They're like, "Well, your stats look good. Everything's coming out good. Everything's fine. You look good. Go home." I did that for almost two years before I was finally diagnosed with primary pulmonary hypertension. It was a week before my 24th birthday and they said, "You have less than a year to live. Your heart and lungs are in such bad shape. You're going to die of heart failure." It was definitely not a relief. I mean maybe it was, I don't know, but I was definitely in shock. I asked my sister, "Can you look up primary pulmonary hypertension on the computer for me?" I was still in the hospital. When she read the outcome, it was like everybody was dying within two years. I said to her, "That can't be right." I refused to believe it at the time. I went home and they told me I had to do a transplant. That's when they transferred me over to a different doctor and he decided, "Don't do a transplant yet. We're going to try you on therapy." That was 11 years ago. I started therapy. I started oral therapy and within six months, I was not getting any better. The doctor put me in the best thing they had, which was IV therapy. IV therapy literally gave me my life back. I was able to breathe. I was able to live a pretty much normal life, except for swimming, and I can't really run yet. Other than that, I can do everything. I would say learn everything from the medical terminologies to the simple things. Read everything you can. Educate yourself. Educate your family. Educate your friends. It's very important that everybody around you knows what's going on and create a network of support. Without support, you're not going anywhere. You're not going to make it. It's super important for everyone to have support. Peer support is very important because a lot of people are diagnosed. I remember when I was diagnosed, I felt socially isolated because there was nobody in town that I thought had the same thing that I had. I am a part of every online group there is. Whenever newly diagnosed patients come on and they have questions of the same exact things that I've done in the past or experienced, I can go on there and say, "Hey, this is my experience or this is something that you can try and this is how it worked." A lot of times there are very grateful. They're like, "Oh, well, I didn't know." It's an eye opener. It's definitely helpful. Besides being a support group leader, I think everywhere I go because I'm always red, everyone's saying to me, "Why are you always red?" I'm living on a pump, which my blood vessels are dilated 24/7. I think that's probably my biggest way of advocating for PH, yeah. When doctors see a patient who's not in good shape, the first thing that they jump to is that you're going to die, and I don't think anyone has the right to do that. I think with the right care, therapies, treatments, patients have the opportunity to lead a normal life and live many years. PH patients are now living 20-30 years and they all had I'm sure at one point death sentences. A lot of times when patients are diagnosed, doctors, they're always pushing therapies, breathing therapies, physical therapy, all of that, but nobody ever pushes psychological therapies. I think that's something that we ought to start implementing in the PH community, psychological care, because that's a big thing that a lot of patients are dealing with that are not addressed properly. When I was first diagnosed and they gave me this short lifespan to live, I was like, "Okay. I can't do much." Then, meeting friends who were living with PH, Sean Wyman, who recently passed, he actually pushed me to go back to school. At the time, he was in college and he told me that there's no reason that I should not go back. I said, "You know what? That's what I want to do too," so I can learn how to deal with not only my situation, but to help others overcome what they were dealing with as well, especially in the PH community. My name is Alleena and I'm aware that I'm rare.